Daryl Johnson (Worcester Park, United Kingdom) on 11 January 2008 in Architecture. 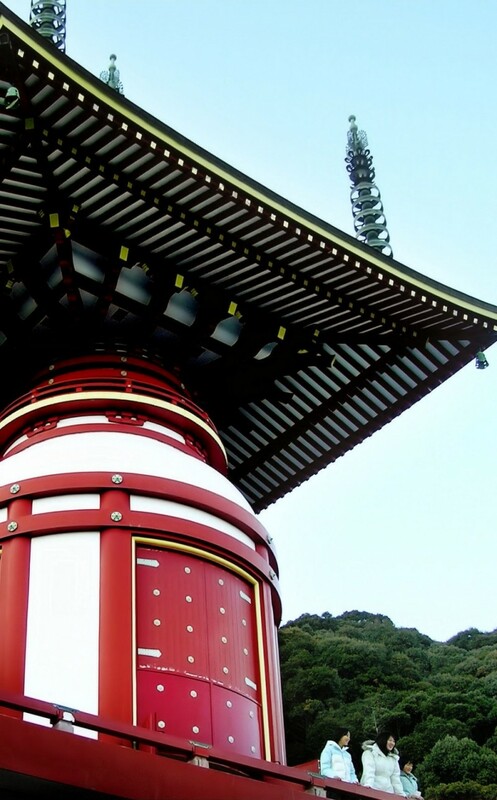 Yakuoji is one of the temples on the famous 88-temple pilgrimage around Shikoku. Ohhh! I definitely like this angle!! !I'm always impressed by the architectural feature of the eaves, most beautiful patterns! A ver striking building, a traditional look but the details look modern. You did a good job with the light under the roof. @Wolfgang Prigge: Thank you Wolfgang. @SPunkt: Ha ha! Cheers SPunkt! @Eleftheria, 9 years old,: Thanks Eleftheria! I love this! Great lighting on the underside of the roof! Wonderful composition -- your eye naturally travels in a zigzag fashion from the top left corner, to the rightmost edge of the roof, down again towards the red column and then all the way down to the group of people.